Don’t miss any of the amazing living sculptures created by our world-class horticulturists. These plants have real character! NEW! Fresh Food, Fun & Flowers Main Entrance See Donald, Daisy, Huey, Dewey and Louie as they help get ready for Fresh Epcot®! 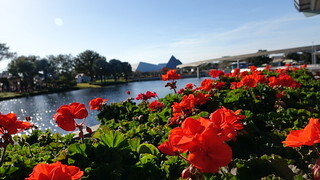 Every weekend at Epcot is a new adventure where you can attend complimentary gardening presentations and meet a variety of gardening, horticulture and outdoor specialists for tips that will help you create your very own unique outdoor experience! See nature through the eyes of “Plein Air” artists and one-of-a-kind Disney works of art. APRIL 8–10 NEW! Outdoor Family Fun Weekend! Experience the benefits of being outdoors in nature while sharing time together with friends and family at select Festival gardens. Disney’s Animal Kingdom® Theme Park Specialists Bugs are cool! See beneficial insects and other creatures that play important roles in nature. Celebrate the place we all call home with special activities and more located at select Festival gardens. The Seas with Nemo & Friends® Discover more about conservation efforts to protect coral reefs, sea turtles, sharks and the many other amazing creatures that call our oceans home. Discover the bounty of our state from Apalachicola to Zellwood! See amazing floral designs that defy description. The Disney Conservation Fund is protecting nature and increasing the time kids and families spend outdoors through grants to nonprofit organizations featured throughout the 2016 Epcot International Flower & Garden Festival. Look for gardens marked with the Disney Conservation Fund logo and discover new ways to explore nature with your family! Presented by Audubon Florida Discover purple martins, small migratory songbirds that have traveled an incredible 3,000 miles from the Brazilian Amazon to raise their families at Walt Disney World® Resort. Get inspired to build wildlife-friendly spaces in your backyard. Explore how kids can create gardens that help their school yards filter water, provide wildlife habitats, and improve the soil. Urban Farm Eats Walkway – near Imagination! GARDEN EMPORIUM Handmade soaps and body products from Rinse Bath & Body Inc. and reflective wind-spinners from EyeCatchers Be sure to visit throughout the Festival to discover new merchandise. ENGLISH TEA GARDEN TOUR Presented by Twinings of London® United Kingdom Discover the history & art of tea blending as you are guided through a complimentary 20 minute tour of this elegant English Tea Garden featuring some of Twinings finest tea blends. Guided, same-day tour sign-up is located in The Tea Caddy. Daily. Self-guided tours are also available. 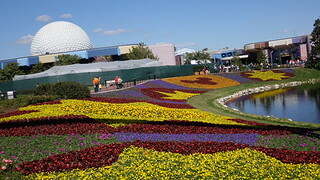 EPCOT® GARDENS OF THE WORLD TOUR Guided tours designed especially for garden enthusiasts! 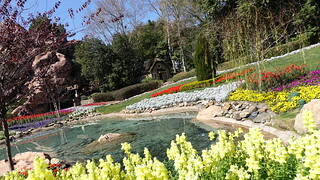 A Disney Horticulturist will be your host on a three-hour tour of special displays and award-winning international gardens. 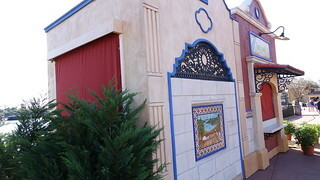 Visit Guest Relations or call 407-WDW-TOUR for availability and pricing. Advanced reservations are strongly recommended. 9:00am–12:00pm Mon, Tue, Thu & Fri.
Each month during the 2016 Epcot International Flower & Garden Festival, collect one of three special edition prints drawn by legendary artist Don “Ducky” Williams. Pick up the relevant print per month just behind Club Cool during the Festival. Don’t forget to bring your Photo ID and Annual Pass or MagicBand. 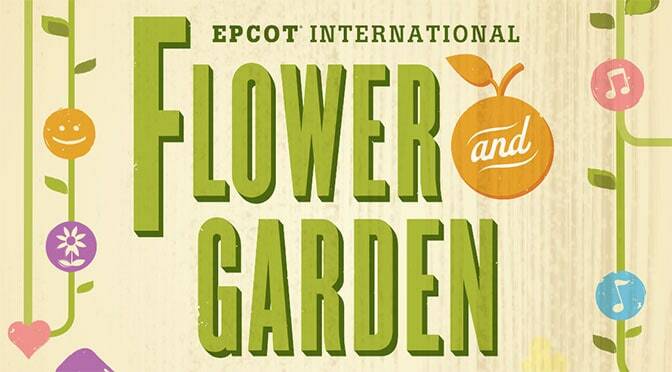 You can print the complete Flower and Garden Festival Passport from home or pick one up for free at Epcot while you’re there. To add to my question about 5/30 Flower & Garden, my kids are 5 & 2. 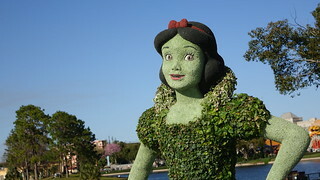 So they will like the character topiaries, but I don’t know if enough will appeal to them to warrant going?? Thx. Hi, Kenny! I’d love your expert opinion on this. 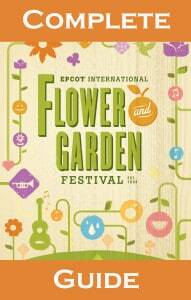 We just booked a last-minute trip to WDW from 5/30-6/4, and I just learned 5/30 is the last day of the Flower & Garden festival! Usually my first stop is MK when we travel to WDW, but I’m wondering now if I should head to Epcot instead. Is it worth the crowds on the last day of the festival, or will I still be able to see most of the topiary displays if we go on 5/31 instead? I can’t imagine they tear it all out overnight? Thanks for your input and thank you for all you do! Your app and your advice for 2015 MNSSHP were invaluable on our last trip!!! Can I ask the pictures you mention for pass holders, is that just annual pass our would a 2 week pass be included? What time do the outdoor kitchens open? Perfect! It is my son’s 13th bday that day & he wanted his big present to be the “Behind the Seeds” tour. So glad we’ll be able to hit the kitchens right after our 10:30 tour ends & try some small plates & cocktails. All the menus look excellent. SO STINKIN EXCITED about the Rose margarita being back!! And I will prob have to try the watermelon sangria if I make it there!! Time to start making plans! Thank you so much for posting all this info. This is our first trip for F&G and it’s very helpful.